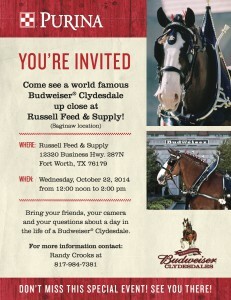 Budweiser Clydesdale to visit Russell Feed Saginaw! 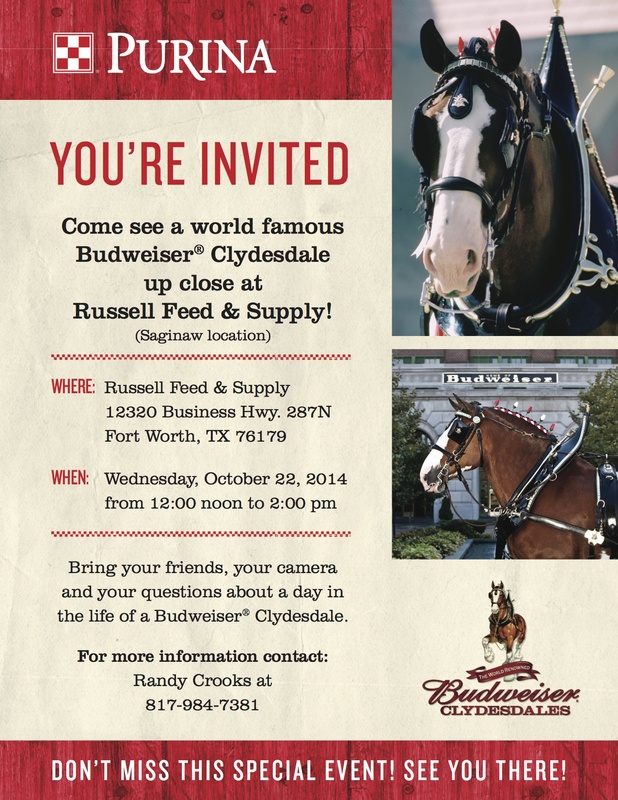 Come visit with a world famous Budweiser Clydesdale up close at Russell Feed & Supply! Bring your family on Wednesday, October 22nd from 12:00pm- 2:00pm at the Russell Feed & Supply Saginaw location. This is an event you won’t want to miss! Bring your camera and any questions you might have about these beautiful horses! This entry was posted on Friday, September 26th, 2014 at 11:23 am	and is filed under Events, News & Updates. You can follow any responses to this entry through the RSS 2.0 feed. Both comments and pings are currently closed.